In partnership with VO2 Networx, the University of Memphis Department of Art, Memphis College of Art, and Rhodes College Art Department, Crosstown Arts is pleased to welcome internationally-recognized installation and social practice artist Theaster Gates for a public lecture and panel discussion at Sears Crosstown on the evening of Saturday, November 16. His presentation, A Way of Working, will introduce and explore his artistic practice and ways of working with various systems, including university, philanthropic, government, studio and museum structures, to create new models for creative engagement and redevelopment. The historic Sears Crosstown building is in its last few months as an abandoned structure, as the Crosstown Development Project will begin construction in early 2014. 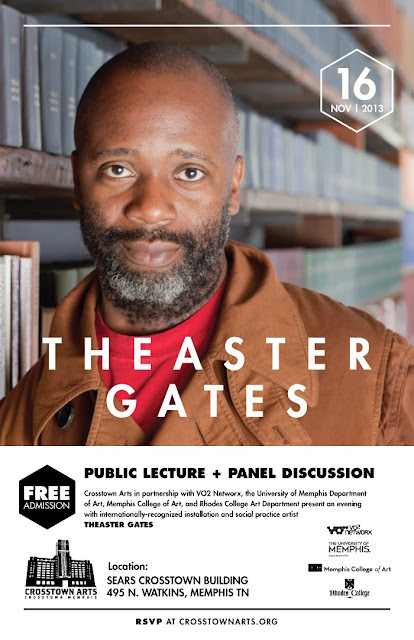 Gates’ lecture and panel discussion will highlight this monumental moment of remaking place and space. 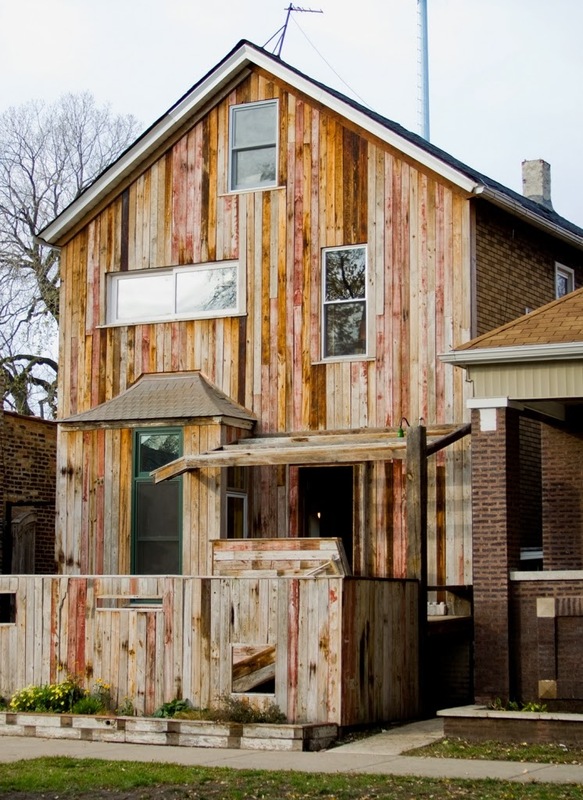 Chicago-based artist and urban planner Theaster Gates has developed an expanded practice that includes space development, object making, performance and critical engagement with many publics. Founder of the non-profit Rebuild Foundation, Gates is currently Director of Arts and Public Life at the University of Chicago. Gates’ recent exhibition at the Museum of Contemporary Art, Chicago extended the work he conceived for dOCUMENTA(13) in Kassel, Germany. Other recent exhibition and performance venues include the Studio Museum in Harlem, New York; Whitechapel Gallery, London; Punta della Dogana, Venice; Santa Barbara Museum of Art; Fabric Workshop and Museum, Philadelphia; Birmingham Museum of Art; Contemporary Art Museum, Houston; Locust Projects, Miami; Seattle Art Museum; Los Angeles Museum of Contemporary Art; Milwaukee Art Museum; the Armory Show and the Whitney Biennial in New York. In 2012, Gates was awarded the inaugural Vera List Center Prize for Art and Politics, the Wall Street Journal’s Arts Innovator of the Year, a Creative Time Global Residency Fellowship, and became a United States Artists Kippy Fellow. Gates has also received awards and grants from Creative Capital, the Joyce Foundation, Graham Foundation, Bemis Center for Contemporary Arts, and Artadia. He is represented by Kavi Gupta Gallery in Chicago and White Cube in London.